The musician has championed Black Lives Matter and maternal health. The Weeknd is headlining the Global Citizen Festival 2018 in New York and will continue to campaign on issues such as racial equality, universal health care, and more. You can join us in taking action on these issues here. The Weeknd’s music has evolved a lot over the years, but he’s always crooned about heartbreak, breaking hearts, and living with no heart at all. These are conceits that he’s parlayed over various genres — grungy R&B, bright and chiseled pop, industrial pop, and others — earning more fans and growing his global reach with each new album. But The Weeknd, also known as Abel Tesfaye, isn’t singularly insistent on matters of love outside his verses. The mysterious and irresistible songwriter has spent the past few years expanding his philanthropic pursuits and using his clout to back political issues. Oftentimes, the 28-year-old artist’s actions speak just as loud as his words. The Weeknd tweeted that after the killings of Alton Sterling and Philando Castile, two black men who were shot and killed by police officers in 2016. Their deaths further galvanized the already ascendent Black Lives Matter movement, which has irrevocably changed the political conversation in the United States and beyond. Tesfaye’s plainly worded statement unambiguously announced his allegiance to the cause at a time when celebrities were facing consequences for backing the movement. His donation then put his words to work. Tesfaye has supported a variety of other causes in recent years. Earlier in 2016, he donated $50,000 to the University of Toronto to start a Ethiopic Studies program. Tesfaye is Ethiopian-Canadian and spoke Amharic, the primary language of Ethiopia, while growing up. His songs are sometimes influenced by Ethiopian poetry and music, and he plans to further explore these sounds in future albums. He’s supported the Ethiopian diaspora in other ways, too, donating $50,000 to the St. Mary Ethiopian Orthodox Church in Toronto. The Starboy has also looked beyond North America. His friend French Montana, the Bronx rapper, traveled on a trip organized by Global Citizen to Uganda in 2017 to visit the Suubi Health Center, a small rural clinic, where he met with the founders and discussed ways that he could help. One way was to start a movement of global influencers committing funds and raising awareness. So that’s what he did. Tesfaye turned out to be one of the first major supporters of the cause, donating $100,000 to help the clinic complete construction of its first floor, an upgrade that enabled thousands of people to access health care. Access to health care in Uganda is a split geographically. People living in cities tend to be able to see doctors when they need to, while the 30 million people living as subsistence farmers tend have poor access to health services. Suubi Health Center aims to address this imbalance, albeit locally and on a small scale. Maternal death rates are higher than the global average in Uganda, and Suubi specializes in helping mothers give birth. By helping the health center become operational, Tesfaye was able to make sure that mothers in the area are able to get medical quality treatment before, during, and after birth. Helping community initiatives take root and grow — that seems to be the motivation behind most of his philanthropy. 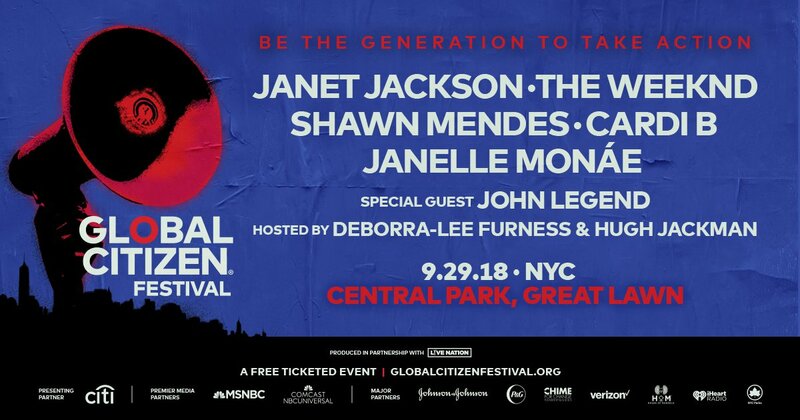 On Sept. 29, The Weeknd will be performing at the 2018 Global Citizen Festival in New York to raise awareness for these and other causes. You can earn tickets to see the show by taking action here.